Let’s talk about a promising new algorithm and a more convenient workflow for many developers in this newsletter. To detect both static and dynamic objects while properly distinguishing between them is a challenge for automated driving and data fusion algorithms. Established algorithms like Kalman filters and occupancy grids are suitable for many purposes. However, they are designed to either detect dynamic objects (Kalman filter) or static objects (occupancy grid), respectively. We propose the dynamic grid as an approach to combine both tasks in one algorithm. To further enhance the integration of BASELABS Create into relevant middleware products, we will introduce an even better support for RTMaps with the next release. Enjoy developing! We look forward to supporting your endeavors in prototyping and series projects. Please contact us for your requirements and to share your experiences with our products. Urban environments add new challenges for automated driving functions and the required environment models. While highway-like scenarios mainly contain objects that can be well modelled and detected using classical data fusion and tracking methods, the objects in cities are more diverse, more complex to model and partially unforeseeable. To address urban environments, high resolution lidar sensors are becoming more and more popular. However, classical algorithms like the occupancy grid have severe shortcomings when it comes to the processing of lidar point clouds in scenarios that contain both stationary and moving objects. The Dynamic Grid is a new approach that overcomes these shortcomings and determines free space as well as static and dynamic objects in an integrated algorithm. All current automotive sensors can serve as an input to the dynamic grid: Radar, lidar, camera and ultrasound. 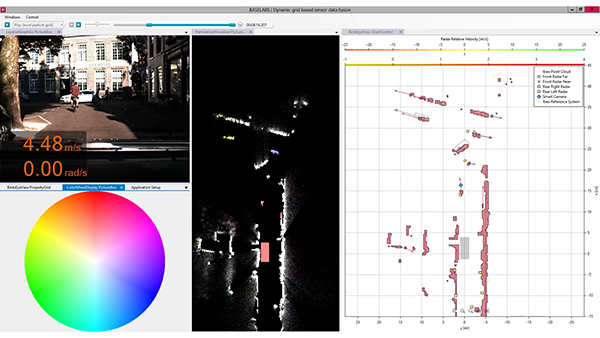 Point clouds from lidar sensors can be used without prior clustering or pre-processing. Optimized implementations for CPUs and GPUs are available. RTMaps is a middleware which is commonly used in the industry for system integration and prototyping. 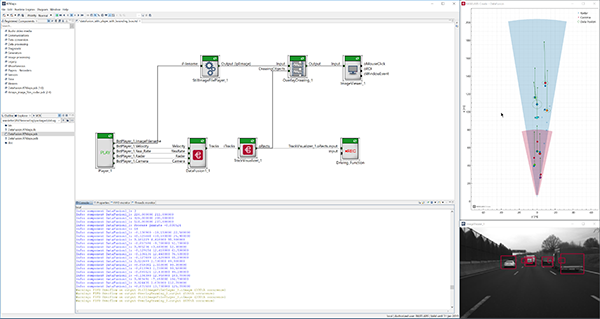 With the upcoming release, BASELABS Create automatically generates the source code for an RTMaps component that executes the configured data fusion. The data fusion can be configured on a graphical basis, which comes with massive time savings compared to a programmatic implementation. Users of BASELABS Create appreciate the numerous useful features for developers such as the built-in visualization, which is always in sync with the configured data fusion. As a kick-start, we also include a data fusion example including sample sensor data for RTMaps. Get an impression on the workflow with our new video. BASELABS is a top employer! For a knowledge-driven company such as BASELABS, a strong and motivated team is one of the major assets. This is why we work hard to establish and maintain an appreciative, inspiring and cooperative working culture. We are proud that we have been awarded a "Great Place to Work" earlier this year based on an anonymous employee survey. 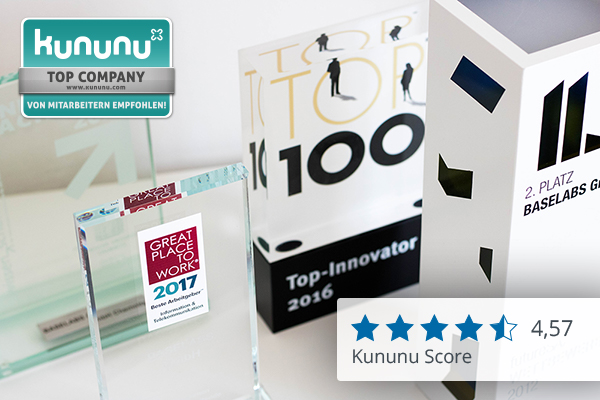 We actively promote company rating sites such as kununu.de and use them as a source of feedback for further improvement. The overall rating of BASELABS and particularly our employees' personal statements on this portal reflect our mission to provide meaningful and challenging jobs in the fascinating domain of automated driving. We are convinced that the motivation and dedication of our team will directly impact the quality of the data fusion results that we deliver to our customers also in the future. We would like to invite you to read our employees' opinions on kununu.de.